Joomla 2.5 series will no longer be supported by Joomla.org after December 31, 2014. This means Joomla users should move to Joomla 3.x as soon as possible. 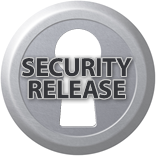 There won't be any security updates for Joomla 2.5 after December 31, 2014. If hackers find a way to exploit Joomla 2.5 after it's end of life there will not be a fix supplied by Joomla.org. This means Joomla 2.5 could be expoited and in some cases we are forced to take the Joomla 2.5 site offline until updated to a secure version. It's much easier to update a Joomla site before it is hacked rather than after. If you need help moving to Joomla 3.x please contact us for a quote.